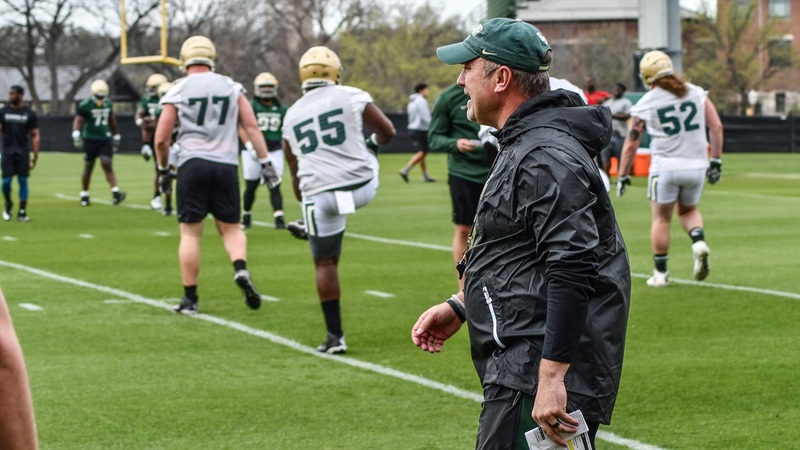 On Wednesday during Matt Rhule’s National Signing Day press conference, Baylor head coach Matt Rhule released the latest information regarding his assistant coaches following the departure of Associate Head Coach and defensive assistant Fran Brown. Former tight ends coach Joey McGuire has been promoted to the Associate Head Coach position and will make the move to the defensive side of the ball. His specific role with the defense has not been determined. Marcus Satterfield will take over for McGuire at the tight end position, a promotion for Satterfield from an off the field position as the Director of Recruiting. Satterfield was the former head coach at ETSU (2016-2017) and served as the offensive coordinator under Rhule from 2013-2015. Offensive assistant Frisman Jackson has been named the Passing Game Coordinator. He will take over the role in addition to his responsibilites for the receiver position. Jackson joined the Baylor staff for the 2018 season. Defensive assistant Mike Siravo has been given the title of Special Teams Coordinator and will also continue working with the linebackers. Siravo arrived at Baylor with Rhule prior to the 2017 season. Evan Cooper was also given the title of Recruiting Coordinator in addition to his responsibiltes as a defensive assistant. He takes over the position for Siravo who previously held the position.